NATURALLY, children want to fit in with their peers. The same goes for most adults! Fitting in is particularly important for children whose days are spent being surrounded by a group of same-age classmates. As hard as most try to avoid it, sooner or later everybody gets put on the spot. This can be a painful experience for those who do not know how to conduct themselves when it happens. If your children express concerns about being singled out, it makes sense to help them to fit in with their peers. You would not want to cause them any unnecessary anxiety or humiliation. It would be unfair to expect them to wear different clothing or carry a briefcase if their classmates bring a backpack to school. However, some things are not so easily circumvented such as accents, family structures, nationalities, health issues or diets. There are so many kids with allergies and other food restrictions that it is not uncommon for at least one child in a group to have different dietary needs. It is up to parents and caregivers to teach children how to handle being put on the spot. Everybody likes to fit in but at the same time, we all like to feel special. Although your children may not believe this at first, let them know that it is more important for people to feel good about who they are than it is to fit in. I have noticed that the children who learn early on that it is okay to be different from the majority, are the ones who tend to be more psychologically well adjusted as teens and adults. For older children, the subject of veganism can sometimes spur a group debate. You may want to teach them to ask a diversionary question to help steer the conversation to another subject. Role play some scenarios with your kids in a fun way so that it will come naturally to them when they need to use it. Enlighten your children to the fact that when people comment about their differences, it just says that others are not as worldly or experienced and that is something to be proud of! 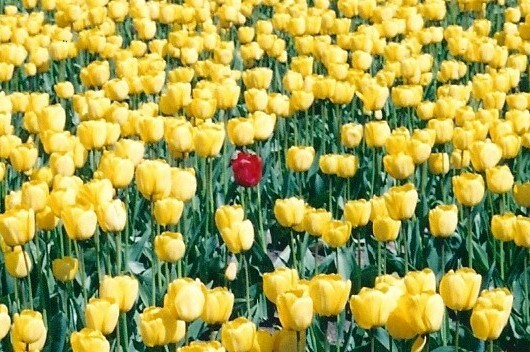 It is good to be different when it honors who you are. Some children eventually learn to revel being put on the spot; they use the limelight as an opportunity to shine. These important social skills can also be used to alleviate situations where fellow classmates are put on the spot when their turn comes around. When your children complain that their lunch is different from everybody else’s, you can spend your time trying to make their cuisine appear similar to animal products or you can give your young ones a gift that will carry them throughout their lifetime; teach your children to know that they will feel better in the long run when they stand up for their beliefs. Coach them to be proud of their uniqueness, to have self-respect, compassion for themselves (as well as others) and a sense of humor. Tell them that it is better to be different due to their personal values than it is to fit in and have none. Most importantly, point out to your children that they are more likely to be accepted when they feel confident about who they are and what they eat. I could have used this while I was in school. Come to think of it -I could use it at work. Why don’t you just come to work with me so I can have some company at lunchtime?